What is the novelization process like? How many times did I have to watch the movie? How can moms find the time for a moms’ night out in the midst of chaos? Good questions! 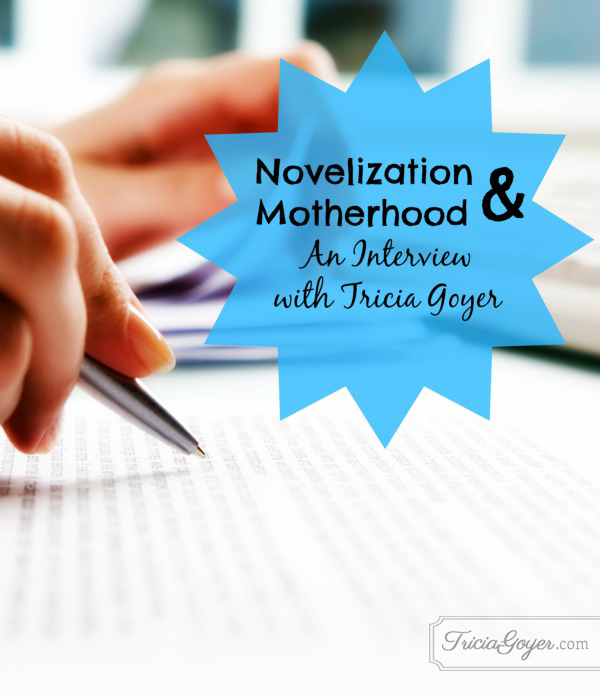 I was recently interviewed about my novelization of the popular film, Moms’ Night Out and the importance of having “mommy time.” Check out the interview below to learn more! I’m part of a small group of women at our church. They meet monthly, and I’m able to make it about every other month. I also have some girlfriends I’ll meet for lunch. Sometimes it’s hard to justify paying a babysitter to go to lunch, but I always come back refreshed. I also lead a Teen MOPS support group. The attendees and leaders range from age 17-55. We care for one another, love one another and draw support from one another. I get just as much back as I give! Q: Raising kids can be difficult, but there are some funny moments along the way – share one of your funniest memories involving your kids. Get in touch with your girlfriends to find a time that works for all of them to get together. Make sure you have a support system! Have close friends and neighbors available to help out when needed. Always remember you are not in this alone, even when it feels like it! Take time either by yourself or with friends to recharge and re-energize. Your kids don’t need a mom who is completely worn out from trying to do it all. Thank you for blessing me with the gift of children. Guide me as I raise my children after your own heart. Give me the energy to keep up with their needs and help me find time to re-energize so I can be a better, refreshed mom. Isaiah 40:11 is one of my favorites too! This was a great interview! I enjoyed it so much, and I”m finding myself inspired to start a moms’ night out group here! Thanks for sharing this at Booknificent Thursday! Looking forward to seeing you again this week!